We embarked on a hot, steamy afternoon in Singapore with some sense of apprehension as to what our fourteen day cruise to Thailand, Vietnam and Hong Kong would be like. 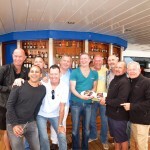 Our group of gay and lesbian travellers made up forty–six of the two thousand guests on board. 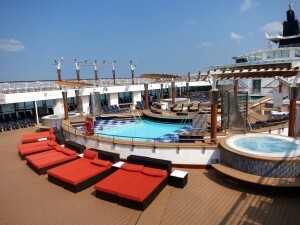 Pied Piper cruises provides a uniquely gay experience and an opportunity to travel with like minded people for a very reasonable cost on an otherwise heterosexual ocean voyage. 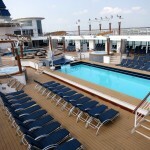 We did not know how many people to expect in our group until the day we arrived on board. Sometimes there are as few as a dozen. At the other extreme, on one recent American thanksgiving cruise, there were over one thousand gay and lesbian guests aboard. On our first night, welcome drinks were presented in one of the bars by Pied Piper hosts Derek and Denis. This provided a convivial mood for our initial meeting. 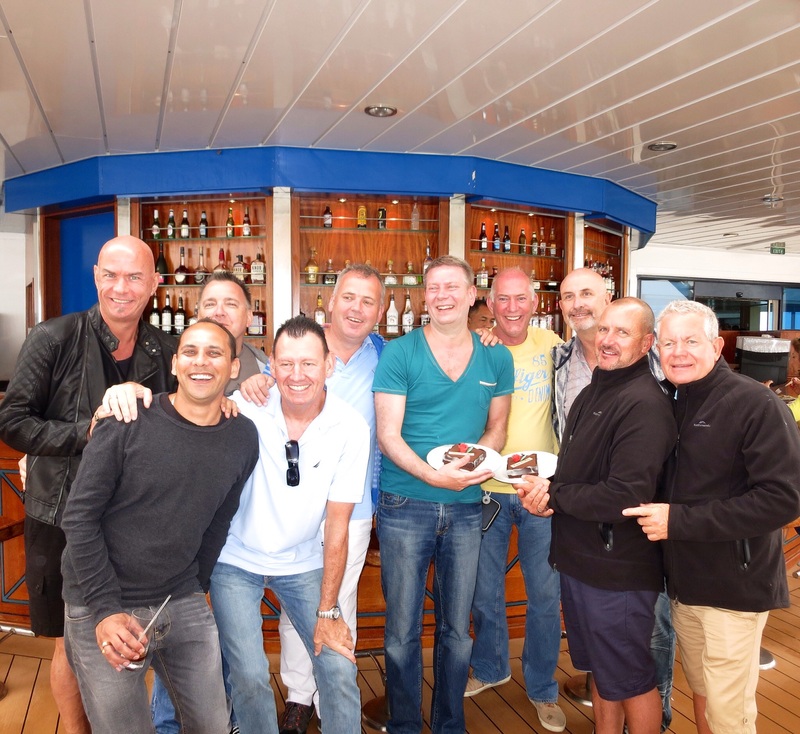 The group, largely male with a good mix from various countries and all up for plenty of fun, constituted a recipe for a great cruise ahead. Over a second glass of bubbles we met the only two females in the group, two wonderful lesbians from Florida who soon became the darlings of the whole cruise. 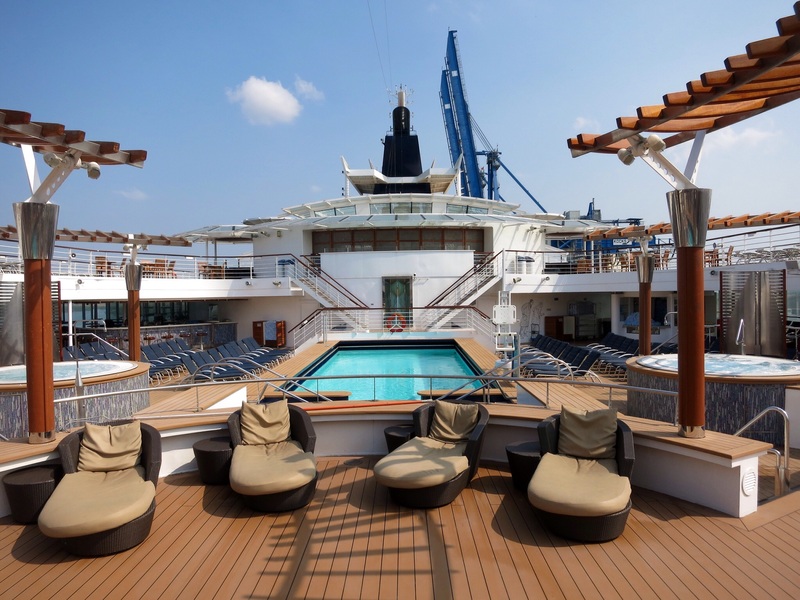 The main pool and deck area. 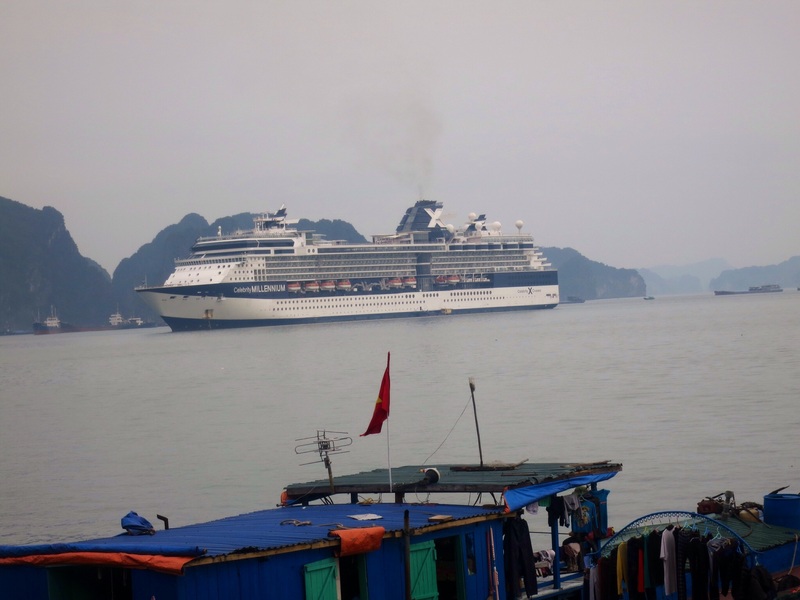 Millie docked in misty Halong Bay. Cocktails before dinner at the Martini Bar. 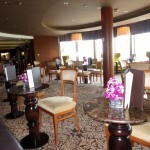 Our first dinner together was booked for 8:30pm at assigned tables in the ship‘s main formal dining room. The size of the group did not allow everyone to sit at the one table, consequently we made an early decision to move from table to table each night to get to know our fellow travellers better. Sumptuous dinner choices and a delicious variety of international wines meant each evening together was by far the highlight of the scheduled activities on offer. 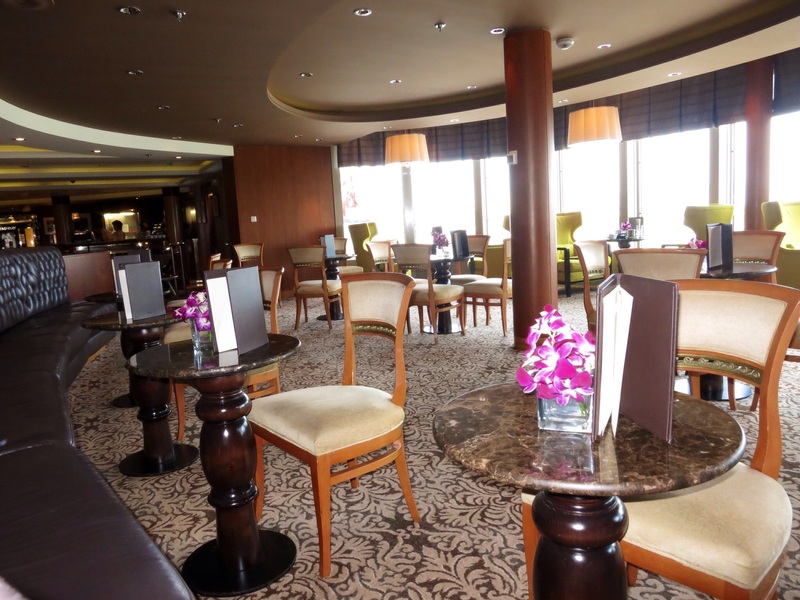 The ship‘s attention to detail, particularly with regard to the exceptional service in the dining room, allowed us to focus on good conversation and just simply enjoying ourselves in the company of our new found friends. Coffee meetings each morning at Café al Bacio was a delightful treat. Lounging back in the luxurious high backed, chartreuse velvet covered chairs that contrasted perfectly with the chocolate coloured, leather-studded, deep-cushioned lounges, trimmed with deep purple Singapore orchards on each table. The ultra-modern decor lent a sense of occasion to the morning coffee ritual. 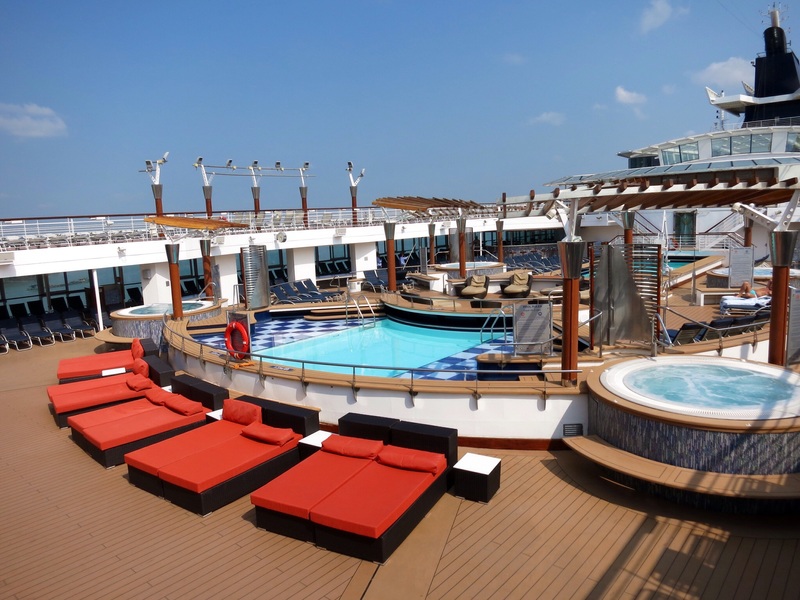 As we gazed out of the floor to ceiling windows at the 180 degree panoramic view of the ocean, we were able to hook up early in the day with our mates to discuss the entertainment options on board by reviewing the Celebrity Today magazine. 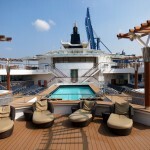 With so many possibilities, sometimes it was simply easier to choose a deck chair by one of the many pools and hot tubs, order the cocktail of the day and get ready to listen to the live band which performed each afternoon on the main pool deck. After all, the weather in this part of the world is stunning. After lunch at one of the buffet options, or the fixed seating restaurants available, it’s time to choose from browsing through the shopping emporium, attending to wifi necessities at the ilounge, or a massage or facial treatment at the Aqua Spa. One day guests challenged the ships officers to a game of water volleyball. Of course everyone thought the right thing to do was to let the officers win. To ensure that we came off as passengers and not as cargo, most days we tried to go to the well equipped gym. With high tech treadmills, steppers, bikes and a state of the art collection of resistance machines, exercising was made all that much easier while you looked through the giant forward glass panels across the bow of the ship as it sliced its way through the Gulf of Thailand towards the South China Sea. Bangkok first port of call. Pied Piper suggested a range of shore excursions to encourage the group to travel together to each port of call. Laem Chabang, the port outside Bangkok, was a highly anticipated destination for many and it didn’t disappoint. Some of our group chose to travel the two hours into the city and stay overnight at a prearranged hotel (eg. Babylon Hotel and bathhouse, see:http://www.babylonbangkok.com). The bars in Silom Soi 4 were also a hit with many. Others spent the day in the city shopping or sightseeing and returned in the evening for dinner. Some visited the stunning Grand Palace or the ancient capital of Ayutaya. 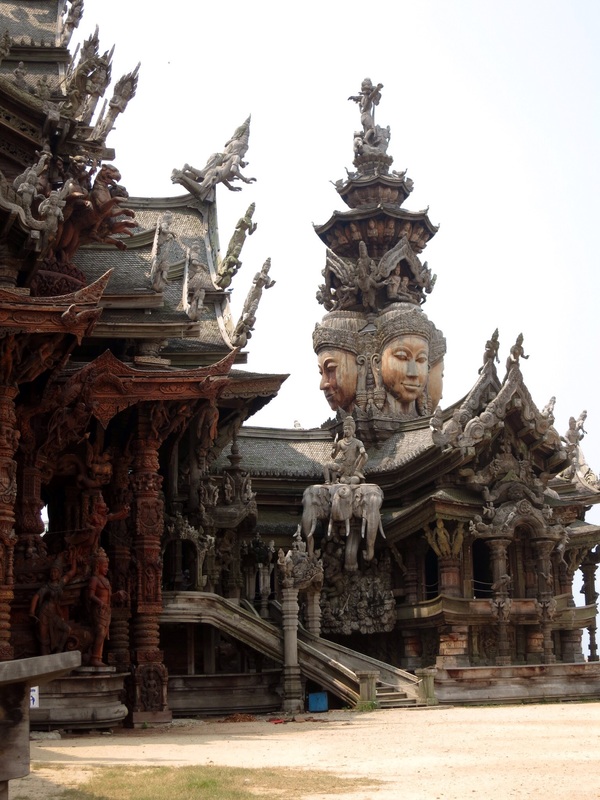 Others were fascinated by the story of Jim Thomson’s house, made spiritual journeys to wats and temples and a few rode the long tail boats up the famous Chao Phraya River. 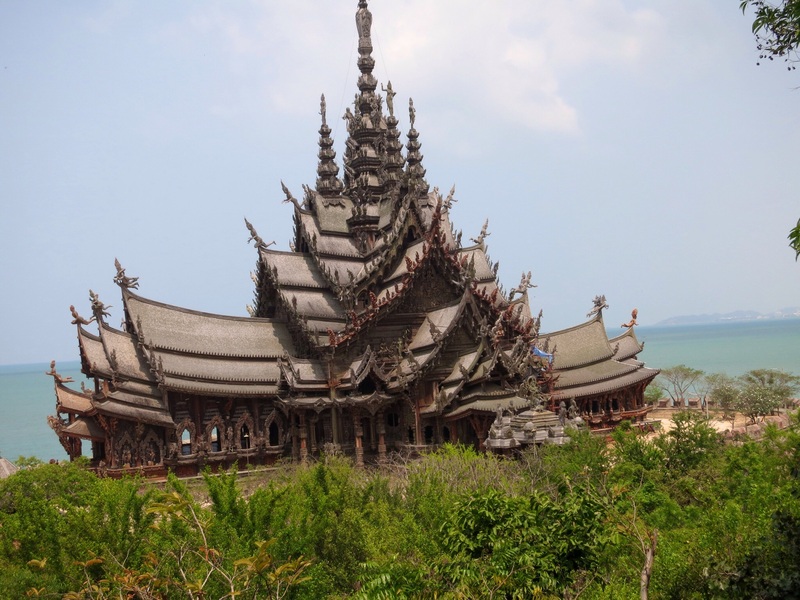 The stunning Sanctuary of Truth in Pattaya, Thailand. 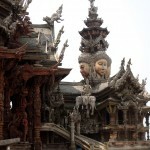 Intricate and exotic carvings throughout the Sanctuary of Truth. 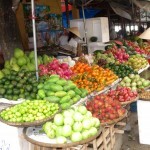 Asian food markets are colourful, vibrant places. 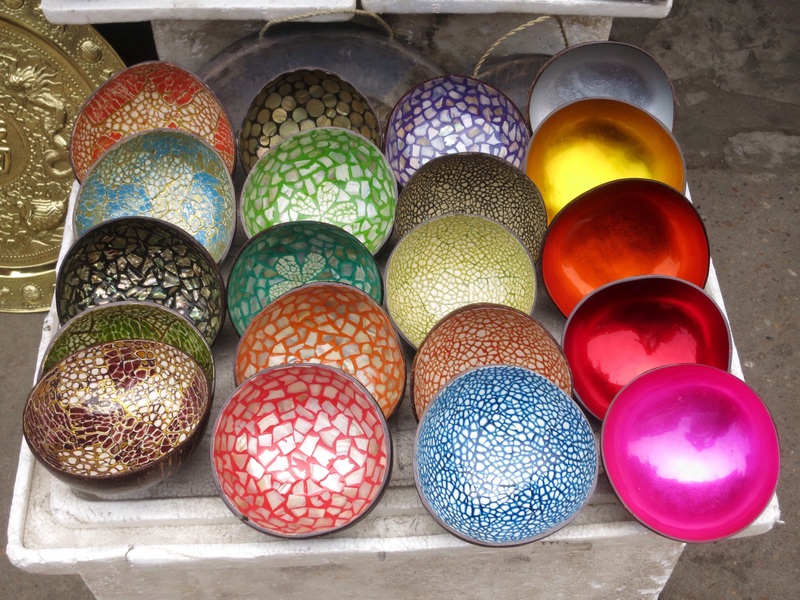 Eye-catching colours of Vietnamese lacquerware. 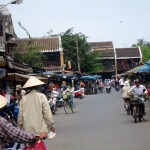 The streets in Hoi An are busy like all Vietnamese cities and towns. A group photo to celebrate a Pied Piper birthday boy. However, another option was to take a shorter journey to Pattaya and enjoy this well known gay beachside destination, only a 35 minute bus ride from the docking area. Here you are able to visit the exotic and awe inspiring Sanctuary of Truth, ride an elephant or watch the elegance of the traditional Thai dancers before choosing a local restaurant for lunch or lazing under one of the thousands of beachside umbrellas and bathing in the warmth of the gentle waves of Jomtien or Pattaya Beaches. 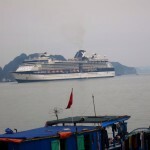 After another relaxing day at sea, the ship docked at 6am the following day to begin our visit to Ho Chi Min City. Following a two hour bus ride from the ship to the city, we pulled up at the famous Rex Hotel to have coffee. Some of the group had booked to see the Chu Chi tunnels outside the city but we decided to keep close to the centre and visit some of the iconic and historical buildings, including the Opera House and the city post office. We also took a trip to the top of the Bitexco Financial Tower which gave us a magnificent perspective of Saigon and its surrounding countryside. For lunch we decided to try the famous, local traditional Vietnamese pho (beef soup). It was deliciously fresh, topped with sprigs of mint, coriander and basil and a few chillies thrown in. The light crispy pork spring rolls were also a treat as a starter. 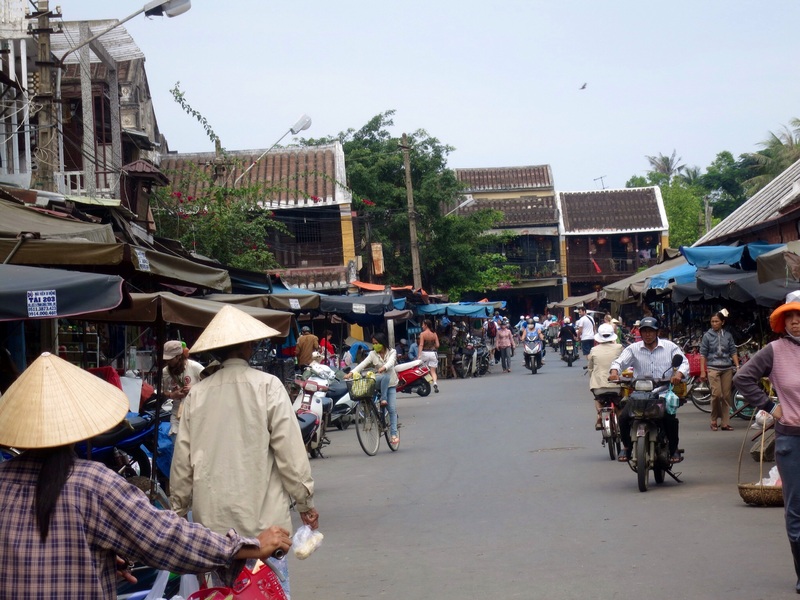 In the afternoon we visited Ben Thanh Market, a short taxi ride from the Rex Hotel. 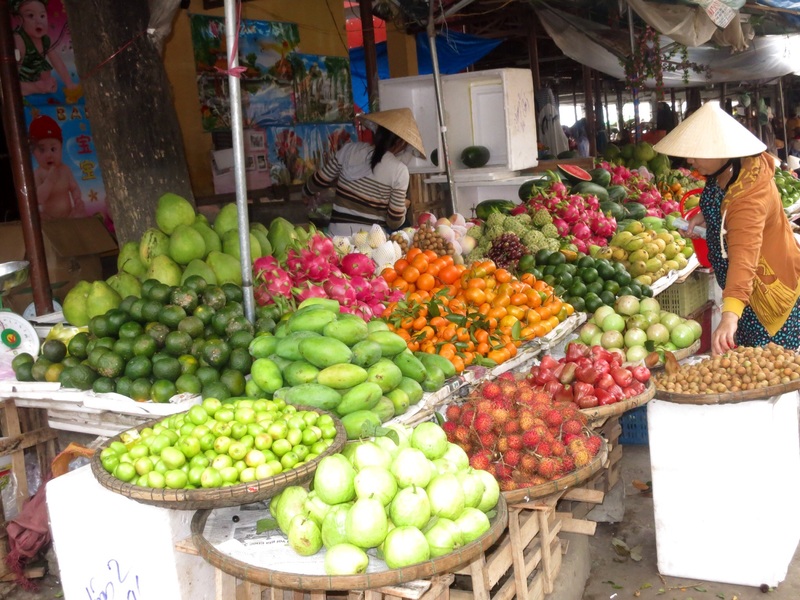 This huge Asian market is the centrepiece of Saigon for locals and tourists. Before re-joining our group for the long ride back to the ship we discovered Fannys ice cream shop. This now famous place is simply unique, serving almost surreal ice cream flavours such as dim sim and other exotic treats like lemongrass, mangosteen and chilli. 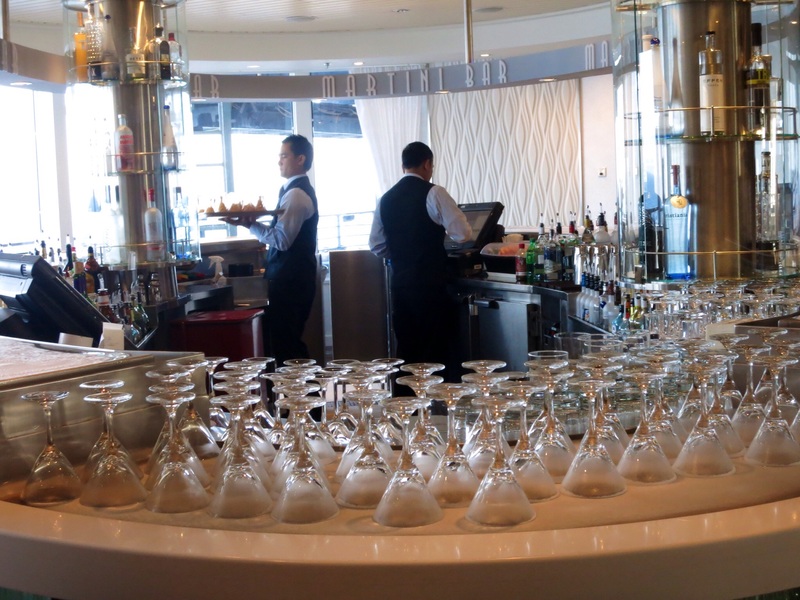 Back on the ship at the ultra–sheik, glass–panelled, ice–encrusted Martini Bar, the whole group met each night for pre dinner drinks. This was the time for an exchange of stories, tips and ship gossip and to decide where we were going to meet on the ship after dinner. 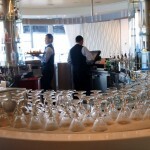 Drinking and socialising was so much easier if you had purchased a drinks package for the entire cruise. The all inclusive beverage package enabled you to have any drink, be it water, coffee, wine, beer or sprits, anytime of the day or night. As one Pied Piper guest said, having the drinks package is like a kid having a free pass to the lolly shop. The nightly shows in the Celebrity theatre featured international artists as well as the ship’s band and dance troupe. A highlight was the Russian gymnast in tights. He kept everyone entertained, even the boys in the second row who used their binoculars to ensure no part of his routine was missed. Fortune casino had the full range of poker machines, roulette wheels and blackjack tables for those who wanted to try their luck and benefit from the nightly bonus incentives. There was a private Pied Piper mid cruise party in Michael’s Bar where we enjoyed complimentary cocktails and celebrated with our new friends. After all, we had survived eight days of continuous eating, drinking and some very late nights. Three of the nights on board were formal and this gave us a chance to dress up. Some simply put on their best tie, whilst others came to dinner in sequin studded tuxedos, sparkling like the South China Sea under the night sky. After Saigon we visited the world heritage city of Hoi An with its unique 15th to 19th century buildings including the famous red bridge. 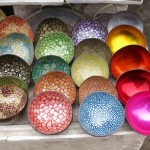 The town is famous for its tailors, lanterns and eating. Places like Green Mango and the renowned Morning Glory restaurants were popular choices for lunch. Most of the streets near the river and market are car free which makes hopping from one shop to another and seeking out the best bargain a breeze. If you ever have the opportunity to stay overnight then do so. The town in the evening is awash with colourful lanterns and the nearby river is festooned with paper lanterns that are floated downstream by tourists seeking good fortune and that extra-special local experience. 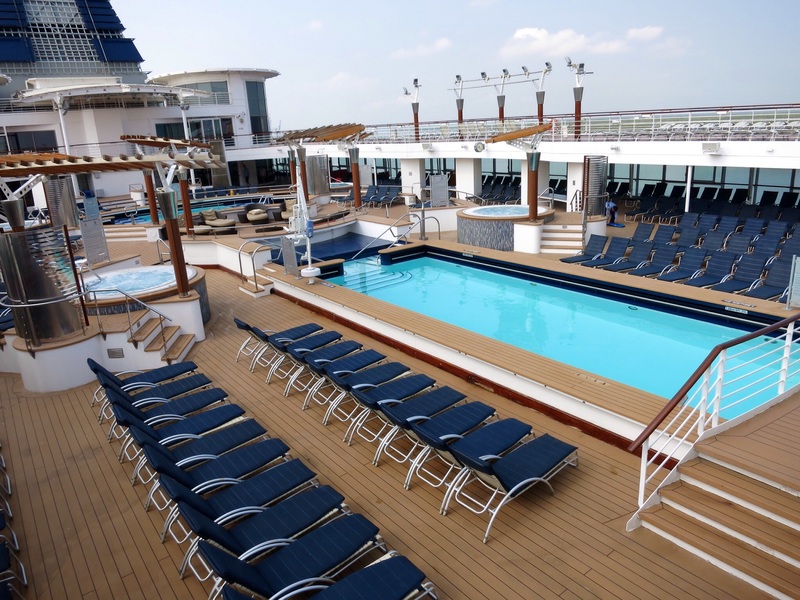 The next day at sea gave us all time to improve our tans and relax in the whirlpool, visit the gym, or spa for a massage or facial. When we arrived at the north of Vietnam and entered Halong Bay, our group was lucky enough to be invited to the bow of the ship for a private mid-morning, hot chocolate party. March and April can be very misty in this area and the weather kept true to form. Sailing into the bay with blankets of fog and the ship’s horn booming out every few minutes was simultaneously eerie, yet exhilarating. The next day many of the group caught the bus for a three hour ride to Hanoi. Most enjoyed it but six hours in a bus on the roads in Vietnam is not everyone‘s idea of a good time. We chose to stay in the local area where there were wonderful markets, excellent eating places and loads of transport options, right near where we docked. Our taxi driver took us to the local, Spanish built museum (Quang Ninh Museum) to see some of the most impressive ancient artefacts we had ever seen in Asia. A most extraordinary and unexpected experience indeed in one of the most beautifully constructed buildings imaginable. Just when we thought our day couldn’t get better than this, the driver organised to take us to a local massage house for a truly wonderful and quite inexpensive afternoon of pure indulgence which finished off our day in Halong Bay very nicely. As we sailed onto Hong Kong Harbour our group partied together for the last time. By now we had made a gaggle of good friends and it was time to get out the iPads to exchange contact details. After a day exploring the many sights of Hong Kong we sadly packed our bags and departed the ship with sentiments like, “Missing you already” and “Missing you more“. It had been a remarkable cruise and we disembarked with so many fond memories and a new network of friends which will last a lifetime.